I've said this before and I'll say it again. 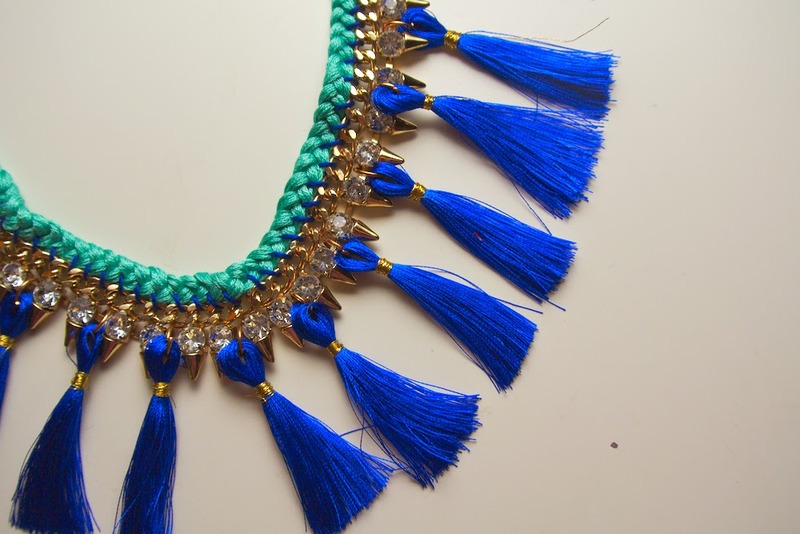 Tassels are to date, the most fabulous thing ever invented. Trust me when I say that it glamorizes anything boring. 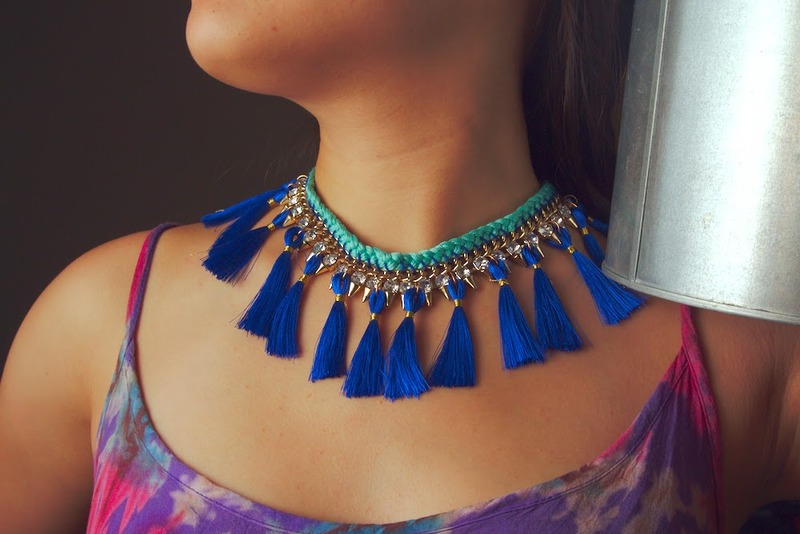 Sew it on clothes for an instant boho update or add tassels to a plutch for that extra edge (what is a plutch? Click HERE and HERE). So here's your express ticket to chic. 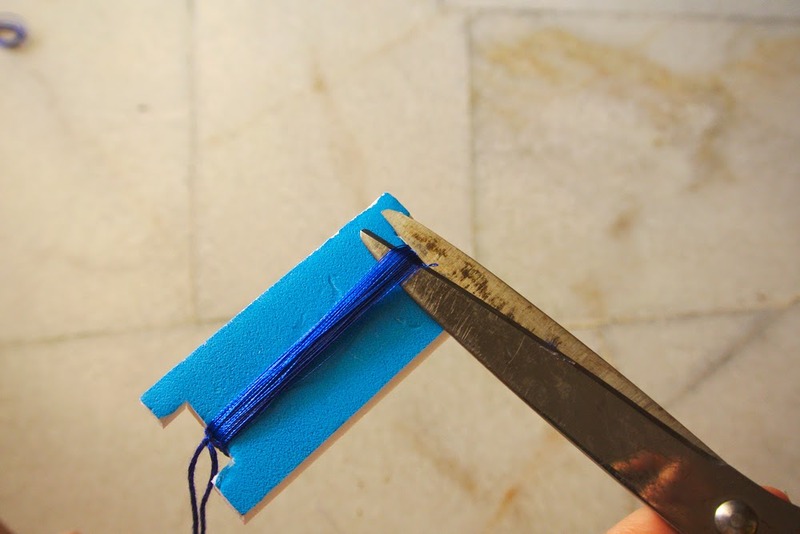 How to make tassels! There will be two parts to this tutorial. 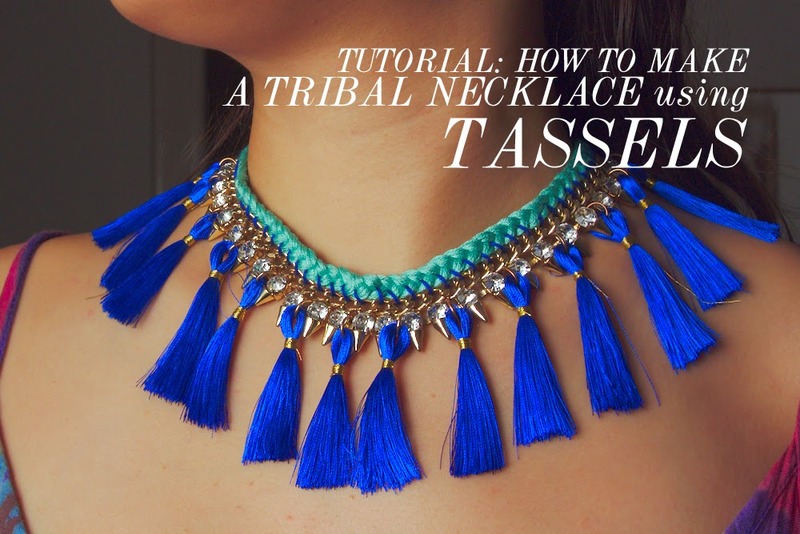 The first being a tutorial on how to make tassels (obviously) and afterwards, I'll show you HOW I used the tassels. 1. 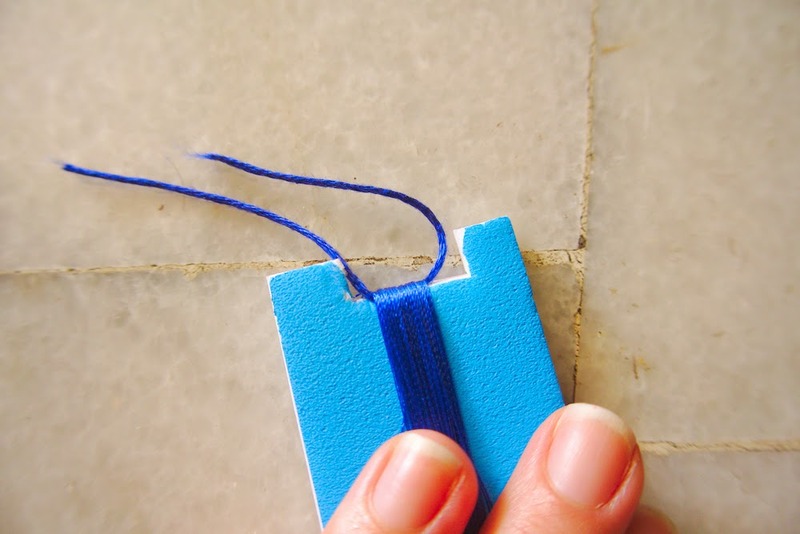 Trim cardboard or polystyrene to a shape similar to what you see above. I highly recommend using the latter (polystyrene) because it handles stress a lot better than cardboard. 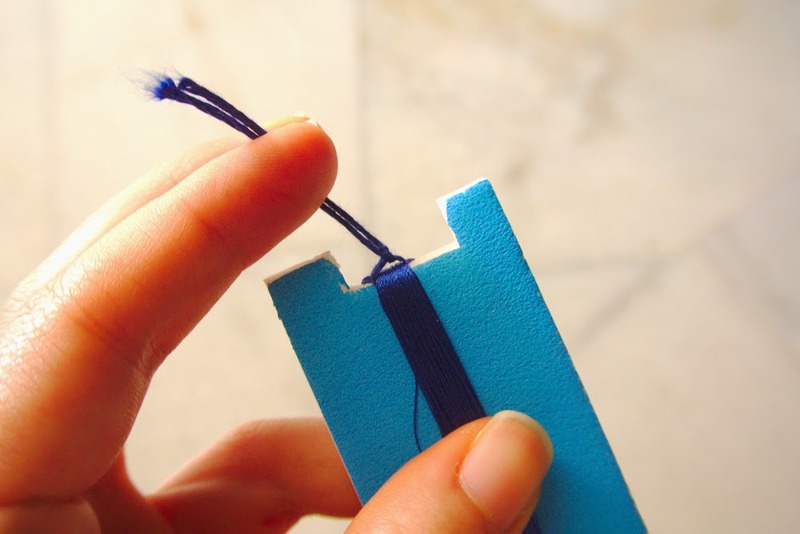 The length of the polystyrene will be roughly slightly longer than the size of your intended tassel. 2. 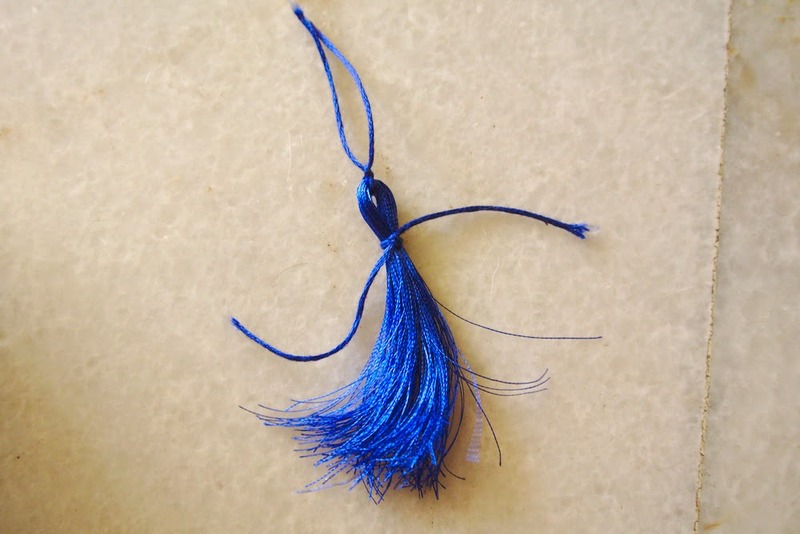 For each tassel, you'll need two pieces of embroidery floss, cut into approximately 4 inches in length each. Have these ready. 3. 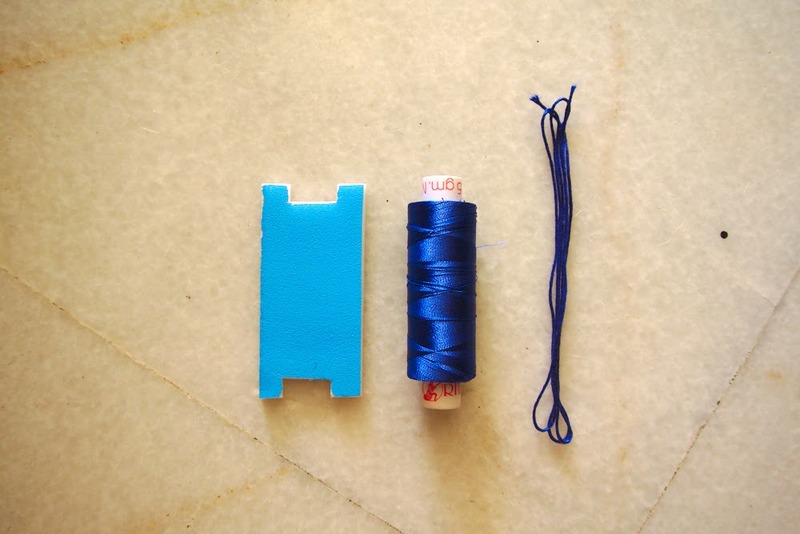 You can now start coiling the embroidery thread, using the polystyrene as your guide, making sure that it is taut. Go over the polystyrene as many times as you'd like. 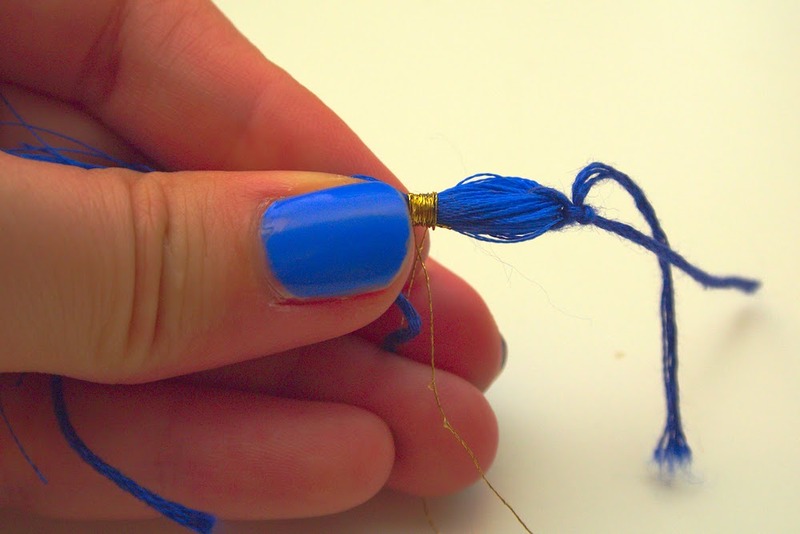 You may also use embroidery floss for your tassel, but I prefer the look of embroidery thread. 4. 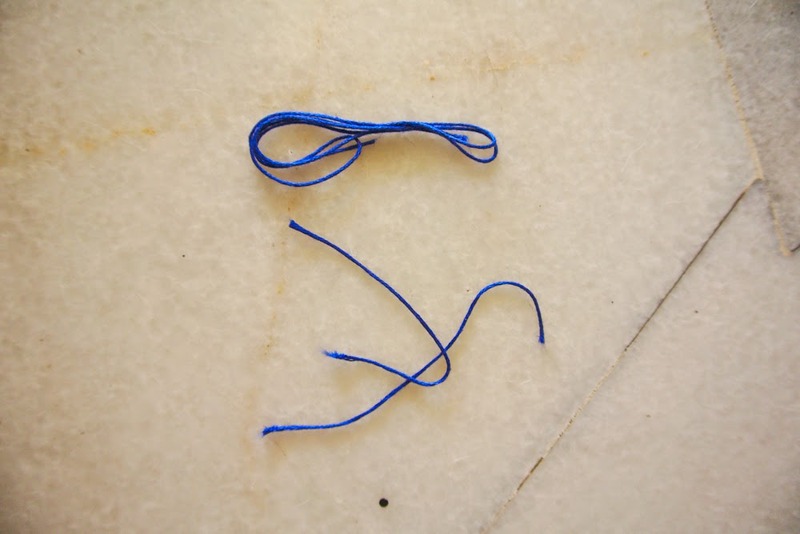 Slip one piece of embroidery floss (prepared in step 2) under all that thread and tie. 5. 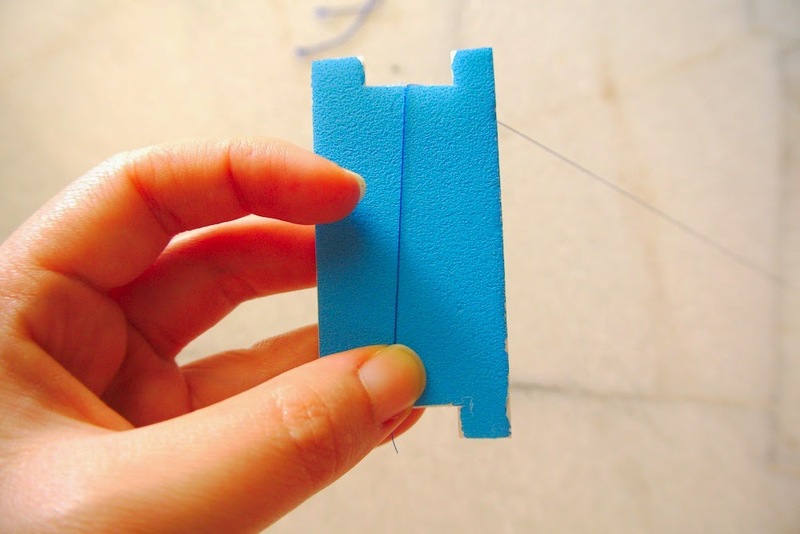 On the other end of the polystyrene, cut the roll of string in half. 6. 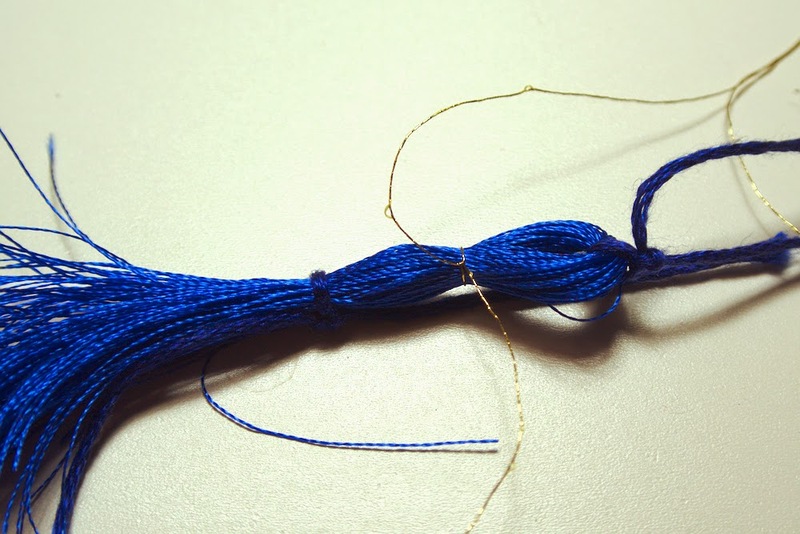 Using the other piece of embroidery floss (prepared in step 2), tie across, like so in the picture above. 7. 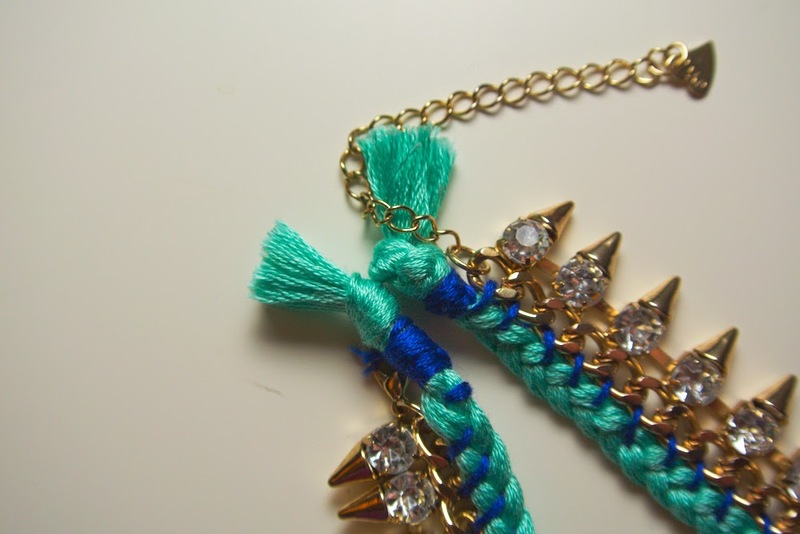 This is the beginning of your adventure in tassel making and it'll look like this! Trim any excess you will not be needing. 8. 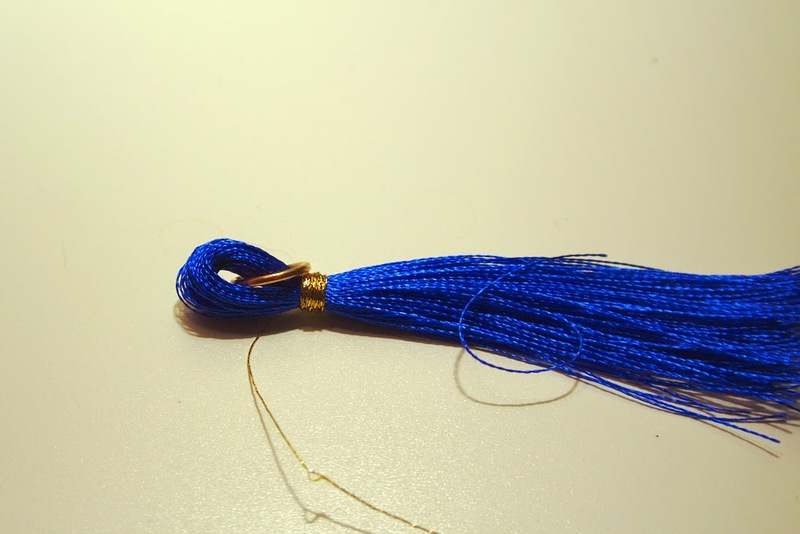 I wanted my tassels to be a little bit prettier, so I replaced the embroidery floss (step 6) cutting across the tassel with gold thread! 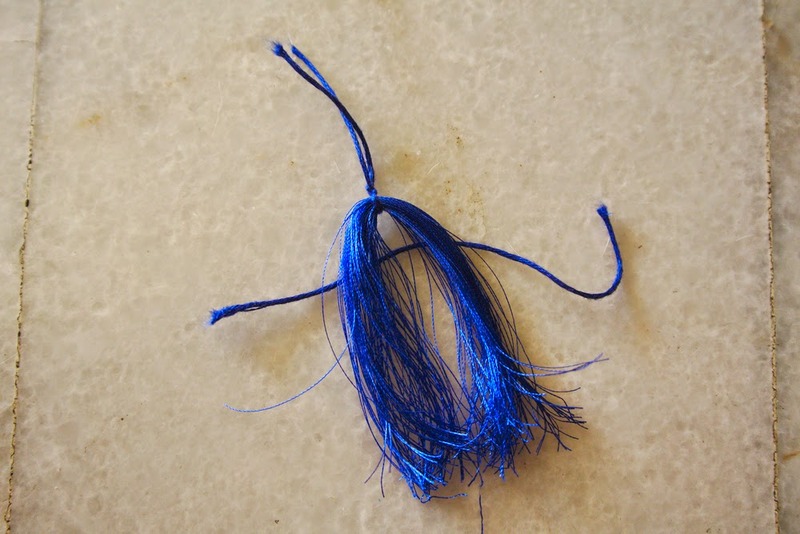 What I did was slide the old thread down, tied a knot with the gold thread in the position where the floss sat and started coiling the thread around the tassel. 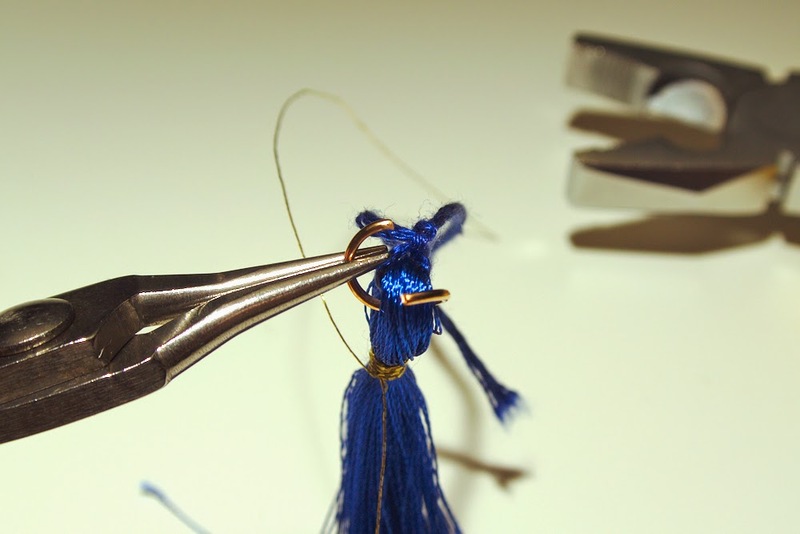 Once I was satisfied with the look, I ended the coil with two knots. 9. 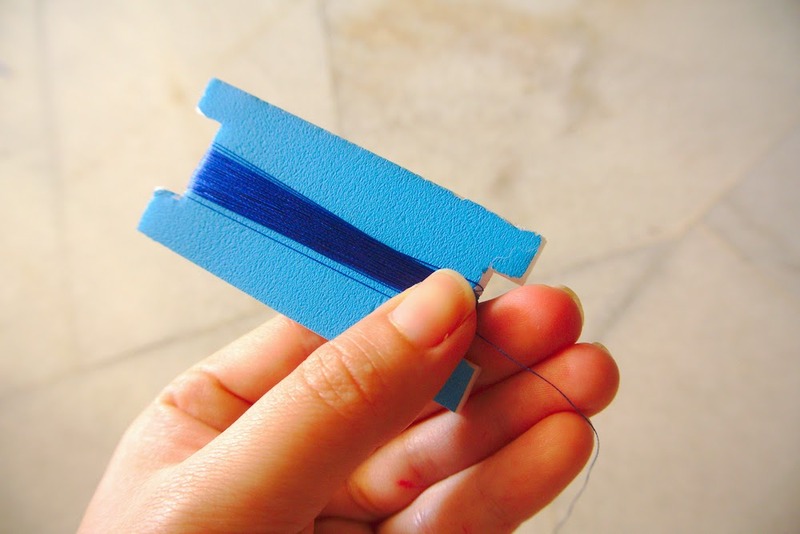 I also replaced the embroidery floss (from step 4) with a jump ring. 10. 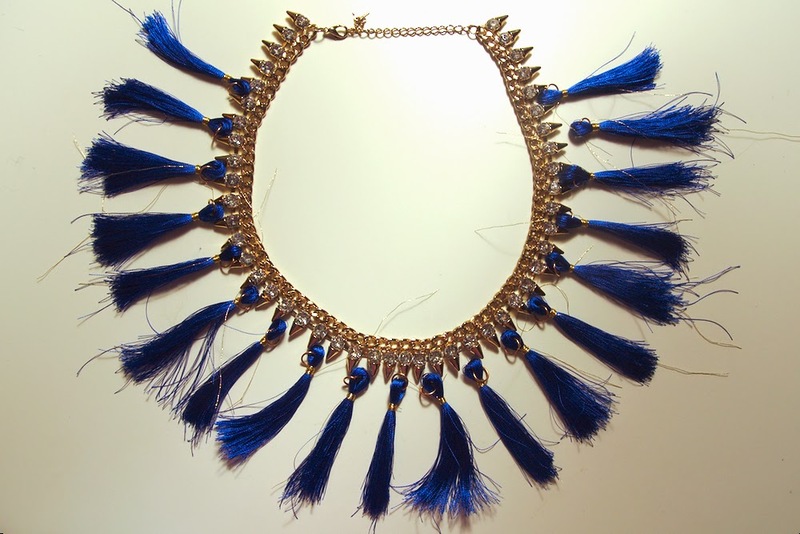 As soon as I carried out steps 8 and 9 with all the tassels, I began attaching them piece by piece on my necklace. 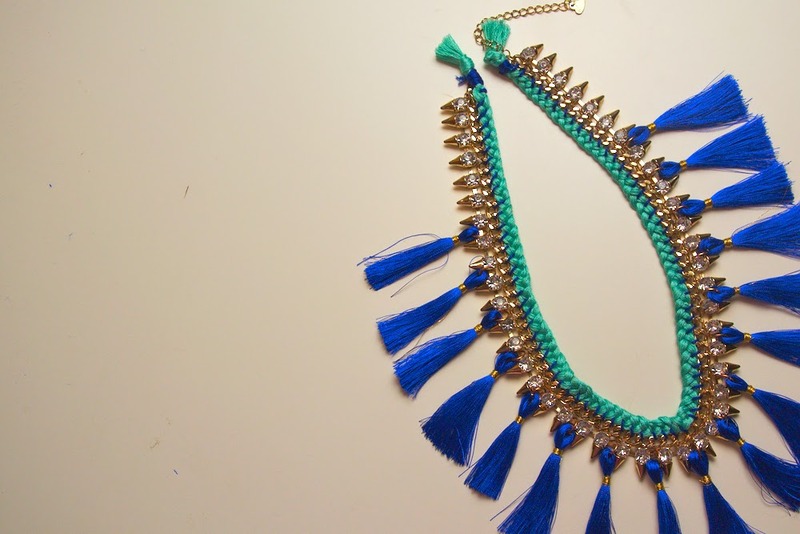 Because I made only about 20 tassels, I had to leave some space in between. I wish I had made more (double to be exact). 11. 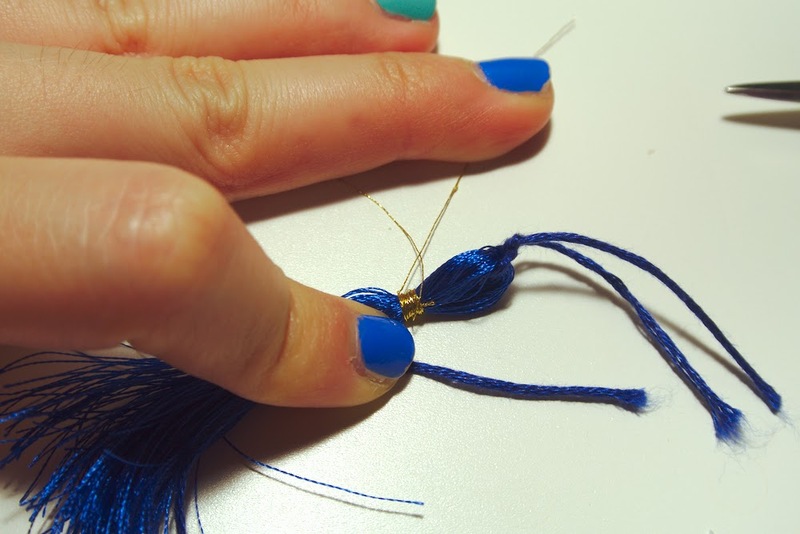 Trim off the edges of the tassels for a polished finish. I also added embroidery floss I braided in a different colour, on the other side of the necklace to give the necklace a little more character. AND you're done! 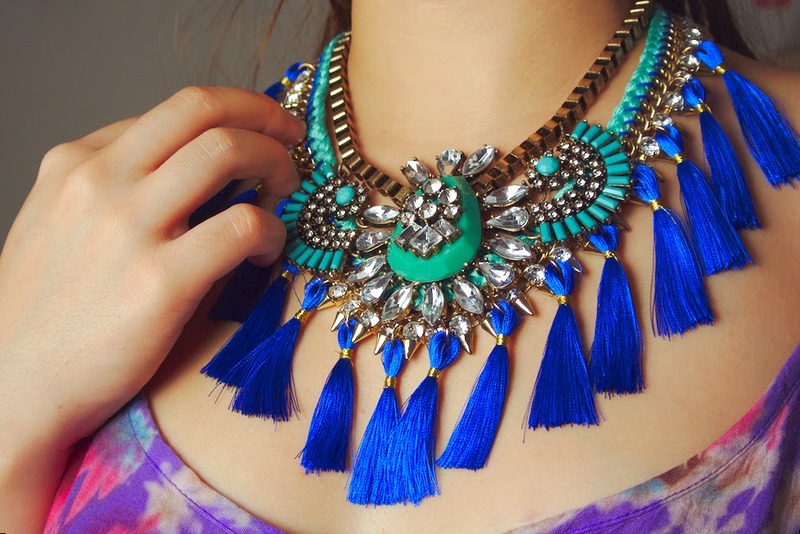 Such an easy method to add chic to any accessory. I just love how it's slightly tribal looking. 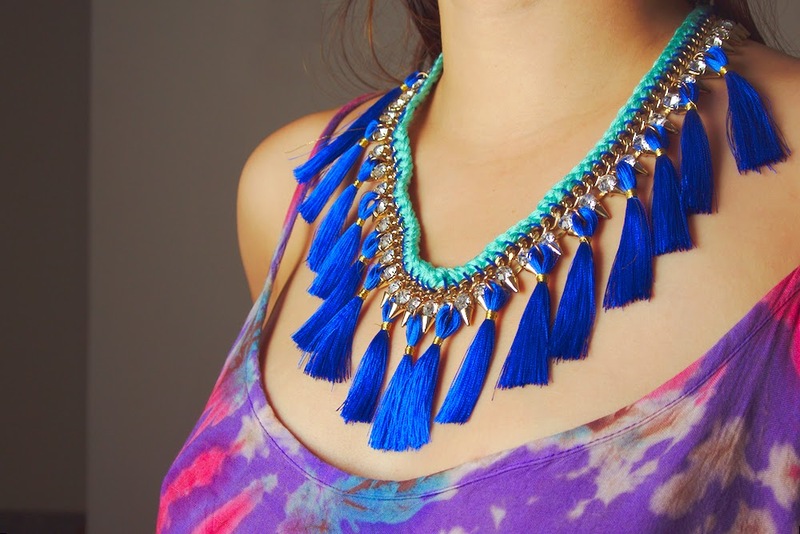 The tassels really makes this piece a key layering item. I am so very pleasantly surprised at how well this turned out. I hope you enjoyed the post. 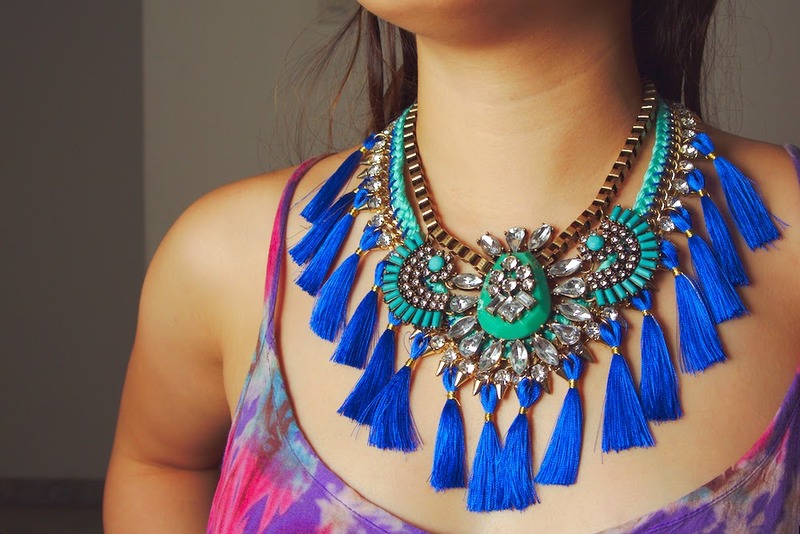 Here are a few ways I'd wear this tribal original. This is so cool. 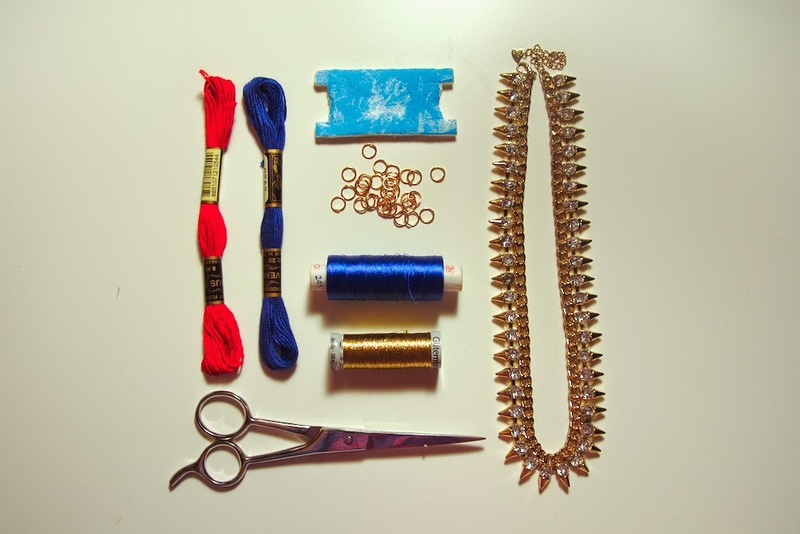 I plan to work this in somehow when I make the headdress. Thanks for sharing.